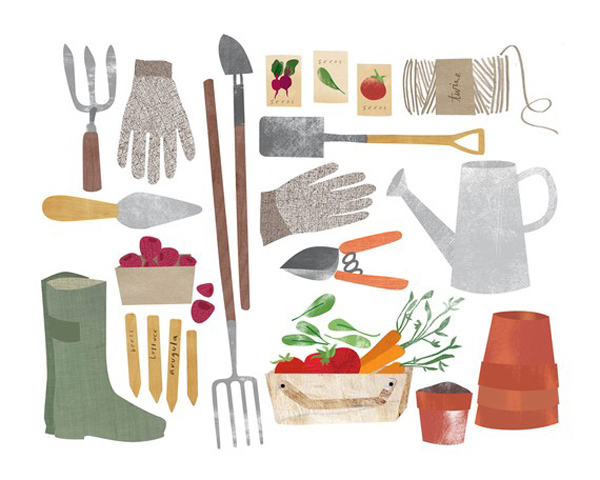 Even though our weather is playing tricks on us lately, I am excited about planting some flowers and herbs in the next few days and this nice garden gear print by Heidi from Redcruiser jumped right out at me. See her other great garden, vegetable and fruit inspired art here. So cute! These would be perfect in a garden shed. Oh I love it. Perfect for the girly gardeners!! !